Since November 2018, Joon offer a new service called Cosy Joon; modular seats that transform into a bed or play area for children. 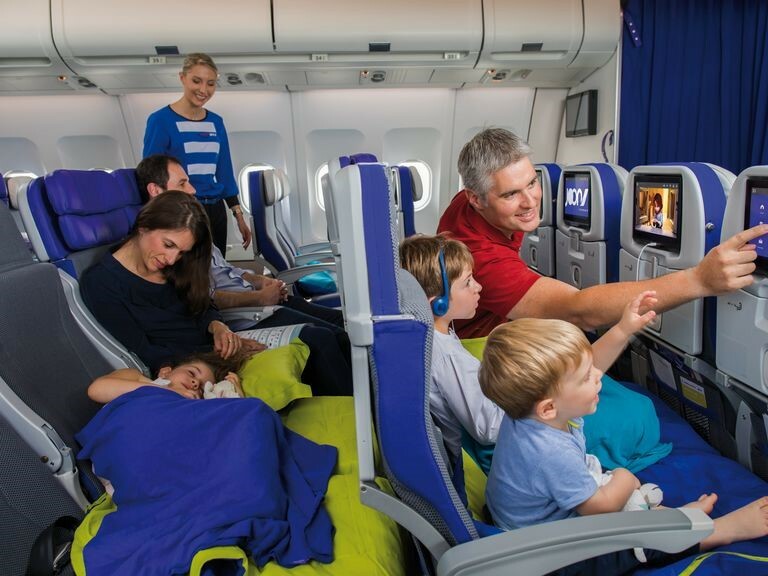 In some rows of four seats on the Joon Airbus A340, two adjacent seats can now be transformed into a play area or a cosy bed for two children*. To do this, the Joon crew converts the child’s seat headrest into an additional seat to fill the space between the rows of seats. Our younger customers enjoy a surface area of approximately 105 x 76 cm on two adjacent seats. An overlay mattress and a seat belt extension is also provided by the crew. *This product is recommended for two children between 2 and 5/6 years old maximum. **Cosy Joon is only for families with one adult and two young children or two adults and two young children.